In the Urban Cowboy '80s, a young John Travolta danced the Texas two-step across American movie screens with a Lone Star in one hand and a cowgirl in his arms. Audiences across South Texas swooned — and chugged his brand of beer. Fast forward 35 years, and lots of Texans still dance the two-step, but today their tastes are decidedly more discriminating when it comes to their favorite brews. And why not? With serious-minded brewmasters producing exceptional small-batch beers in microbreweries all across the state, hip “hops” fans have cultivated a taste for the area’s best locally crafted beers. From bocks to pilsners, pale ales to barleywine, cold-filtered brown ales to caramel malt brews, craft beers are garnering a cult following across South Texas. So where to go in San Antonio for the best house-made brews? Here are 10 fine local-area breweries (in alphabetical order) crafting sensational San Antonio-style beers. 5 Stones is about to celebrate its second anniversary as a busy three-barrel brewery with unique and flavorful beers like its Aloha Piña, a golden ale brewed with pineapple and locally grown jalapeños. Owner Seth Weatherly runs this microbrewery and tasting room in the San Antonio suburb of Cibolo, just north of town, and sells beer in liquor stores all over the city. The brewery isn’t yet open for tastings, but does open for occasional special events. Weatherly says it’s his goal “to become a destination brewery for craft beer lovers and a ‘must-do’ on the Texas Beer Trail,” and he plans to move into a larger building and open a tasting room in 2016. Named for a line from the biblical David and Goliath tale, 5 Stones is an underdog brewery setting out to slay giants — and watch out world, it just might. This $8 million, 18,000-square foot brewery, beer hall, and beer garden is about to celebrate its first anniversary in its space just a few blocks east of downtown under the historic Hays Street Bridge. Still, owner Eugene Simor is hardly the new kid on the block; he’s been brewing Alamo beer since 1997, selling out of the back of his “beer wagon” (his wife’s minivan) before opening this full-scale brewery. 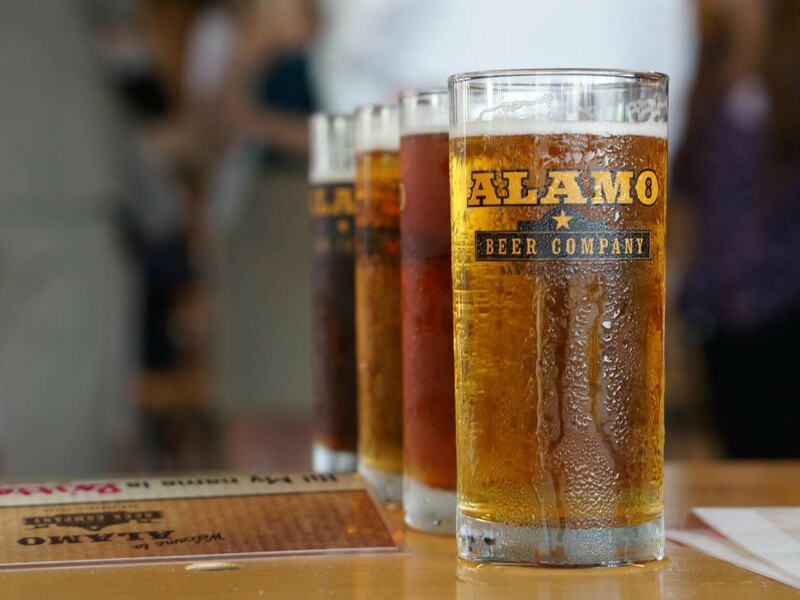 Alamo Beer hadn’t been made in San Antonio since prohibition, so Simor bought the copyright and began brewing. He’s still at it and plans to produce more than 40,000 barrels within the new brewery’s first five to seven years of operation. 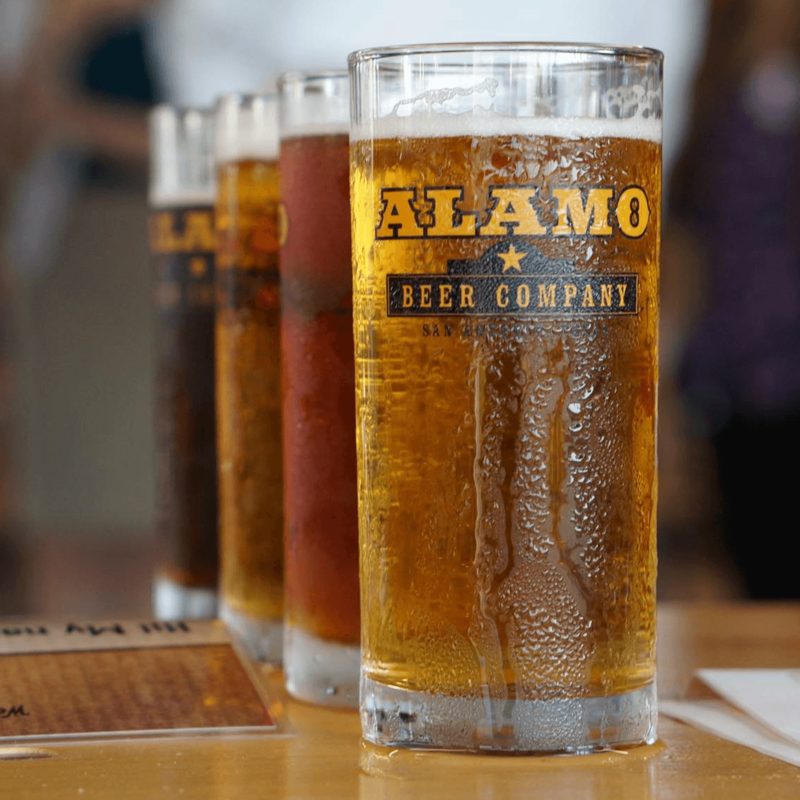 Alamo opened its new beer hall and beer garden last March on the 179th anniversary of the battle of the Alamo. Sit outside and enjoy a pint at a picnic table, pitch washers, hear live music, nosh on food truck fare, and “Remember the Alamo!” Tours are offered Saturdays at 12 and 3 pm. 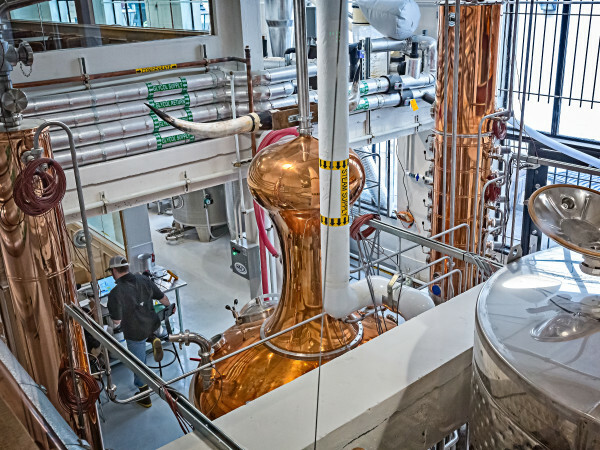 This small Shavano Park-area brewery opened in August 2013 and creates hand-crafted brews using locally sourced seasonal ingredients whenever possible from an energy-efficient, 100-percent electric-powered facility. Featuring four different year-round beers and several limited edition seasonal beers, Busted Sandal is open Wednesday to Friday 5-9 pm and Saturday 2-9 pm. Six months ago, the brewery underwent an expansion, and now it's teamed up with Silver Eagle, one of Houston and San Antonio’s biggest beer distributors. We recently tasted its Busted Sandal Porter at the JW Marriott San Antonio Hill Country Resort’s High Velocity Bar, which serves San Antonio’s best local beers on tap. 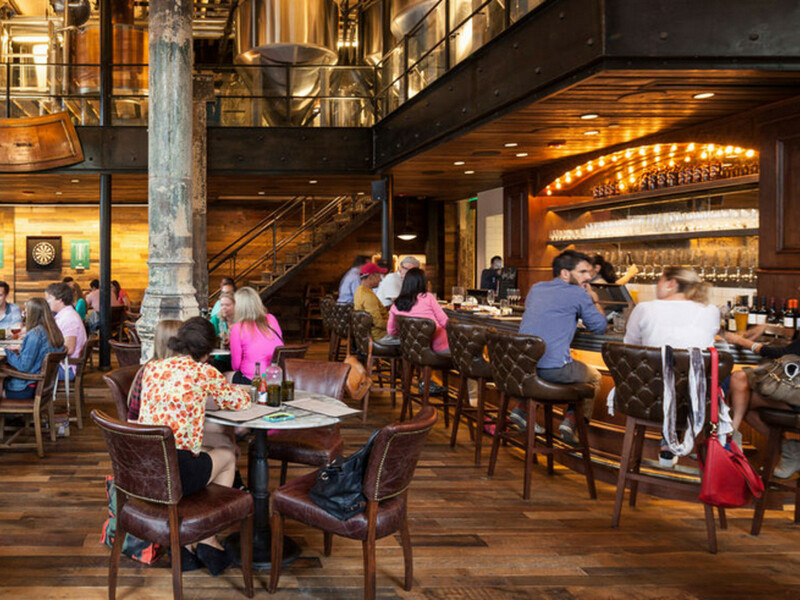 A busy production brewery, Branchline offers monthly tasting events. Here, the beer is not just meant to please only extreme craft beer drinkers, but also casual drinkers who enjoy a lighter brew. Try the Evil Owl Amber (a “moderately hopped” American amber ale), the Shady Oak blonde ale (made with Texas wildflower honey), or the “aggressively hopped” Woodcutter Rye IPA. A San Antonio staple since 1996, Blue Star makes its home in the Blue Star Arts Complex in Southtown, one of the city’s hottest art, food, and entertainment districts, just a few blocks south of the downtown city center. 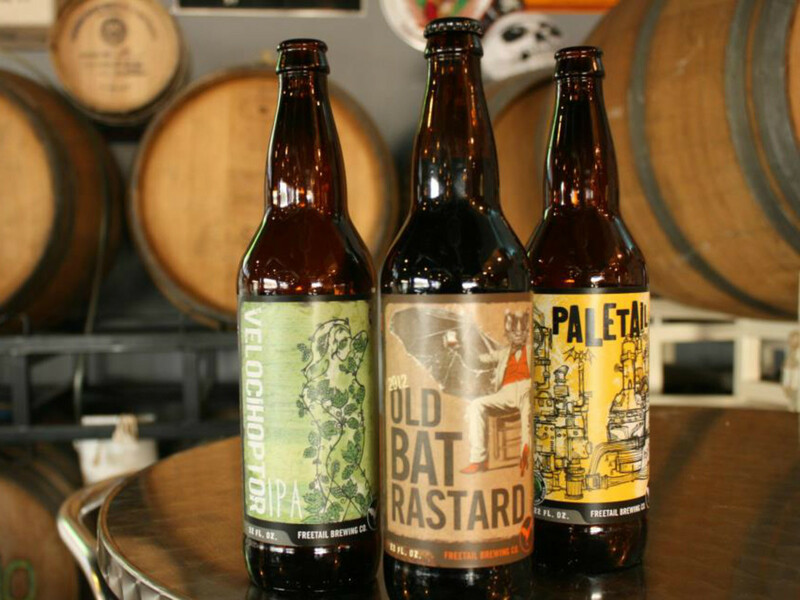 This popular microbrew makes only 100-percent organic beer and currently offers 10 craft brews. With an atmosphere more like that of a friendly Texas sports bar than a traditional taproom, fun is always flowing at Blue Star. Freetail’s original location is a large sports bar-type restaurant and brewery in a strip center — but don’t let the surroundings fool you. 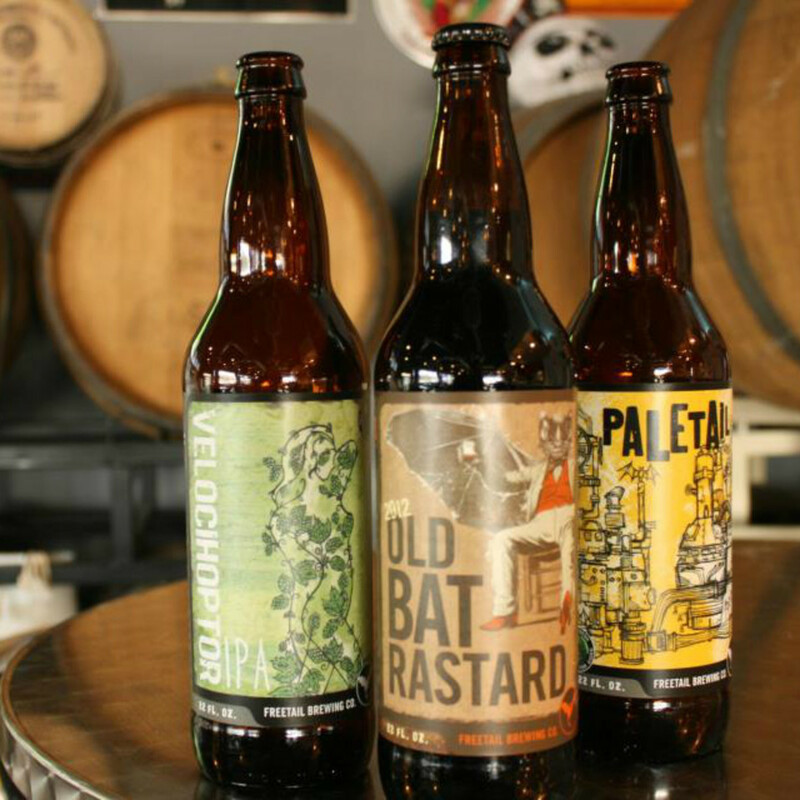 This is a serious 15-barrel brewery with solid distribution throughout San Antonio. The restaurant is popular for wood-fired pizzas and casual menu items that complement the delightful craft beers. Across town, Freetail’s new modern brewery and South Presa Street tasting room opened in Southtown last fall and offers tours Thursday through Saturday. 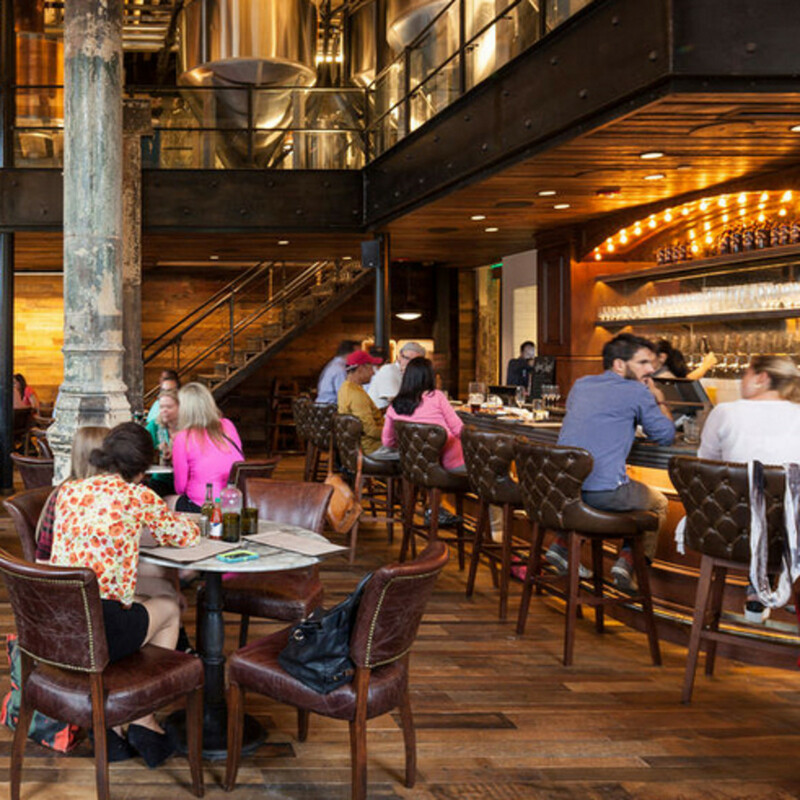 It's the pride of Pearl, the hot new culinary, retail, and bar compound set in the shadow of the old Pearl Brewery. Housed in the historic (early 1900s) family home of the original brewery’s chief cooper, the Granary is currently a seven-barrel brewery producing 200 barrels of beer each year. It also has an outdoor deck as well as an inside dining area and a menu filled with Texas barbecue, house-made pickles, sandwiches, and more. This hot spot also makes its own house-brewed sodas, including root beer and seasonal sodas, like the current hops ginger soda, a grapefruit ginger soda, and even a strawberry cilantro soda. The Granary is proud to own old-fashioned English beer/hand-pull engines, where the beer is pumped out of the cask, making it possibly the only brewery in town to boast such a thing. Ranger Creek is a small, visitor-friendly brewery set in a business park warehouse on the city’s north side. But don’t be fooled by its surroundings, it also has a nice tasting area when you walk inside. 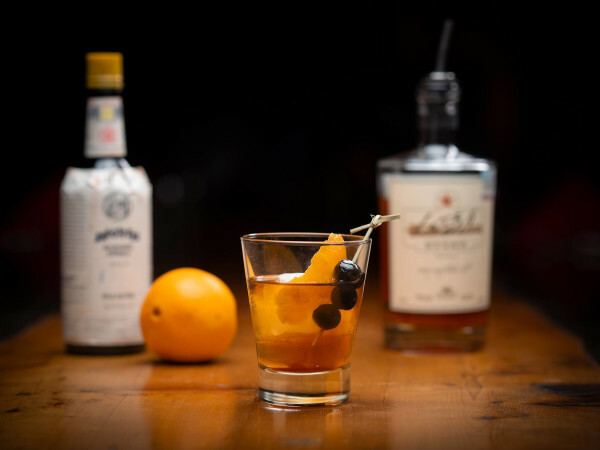 Ranger Creek has the distinction of also being one of only a couple spirits distilleries in town (including Dorćol Distillery in Southtown and Rebecca Creek Distillery on Bulverde Road), and the only “brewstillery” in Texas, creating not only craft beer but also whiskey. Ranger Creek offers an educational tour and hosts an open house-style gathering four times a year. When we were there, the staff was busy slicing Poteet strawberries for its strawberry ale. Okay, so this place is not exactly in San Antonio, but it is possibly the best-loved brewery in the Texas Hill Country, and it's not so far up Highway 281 that locals can’t make a quick road trip for a tour and a taste of its brews. Real Ale’s Devil’s Backbone Belgian-style tripel is wildly popular, with its a pale-golden color, spicy hops and Belgian yeast, and other favorites include the Fireman’s #4 and the Full Moon Rye IPA. Real Ale’s tap room is open on Thursday through Saturday from 11 am to 5 pm. April marked the opening of a new 15-barrel brew house, featuring six serving tanks and a Firkin barrel aging program, in the original brew house of San Antonio’s iconic Pearl Brewery, first established in 1883 as the San Antonio Brewing Company. Now offering 14 house beers on tap, head brewer Les Locke says his goal is to have 100 house brews on tap (and some in bottles) by the end of this first year of business. Looking ahead, Southerleigh also plans to become the nation’s 10th largest brew pub, producing 4,200 barrels a year. 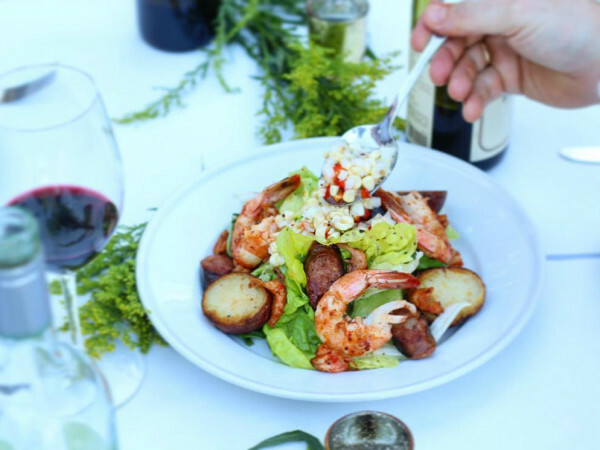 Cozy neighbors with the new Hotel Emma (opening this fall), Southerleigh’s restaurant features Chef Jeff Balfour’s modern take on Texas’ cross-cultural coastal cuisine. Various San Antonio restaurants and bars are now offering Southerleigh’s signature Gold Export Lager and its IPA on tap. A pumpkin cream ale, which will be released later this fall, will also be found around town — and at Southerleigh, of course. Since 1909, the Spoetzl Brewery in Shiner, Texas has been brewing Shiner Beer. Today, it ships 6 million cases of Shiner each year throughout the U.S. Just an hour-and-a-half drive from San Antonio, the brewery offers tours twice on weekdays in the fall/winer, Monday through Friday at 11 am and 1:30 pm, and more often in spring/summer.